This summer has been a busy, active one for me so far. 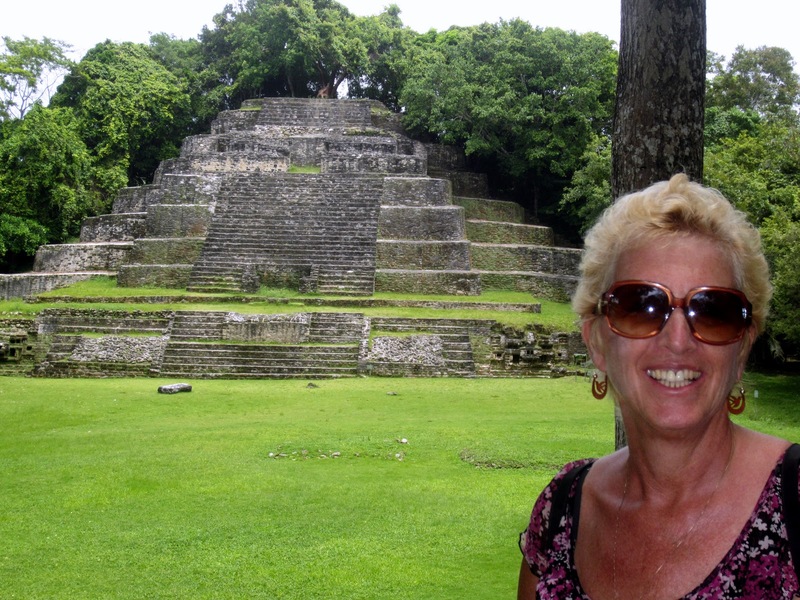 The first week of July I traveled to Orange Walk to help plan a workshop on ESL with my Peace Corps friend Barbara. We also participated in a 4th of July celebration, and visited a Maya ruin. What a packed week! 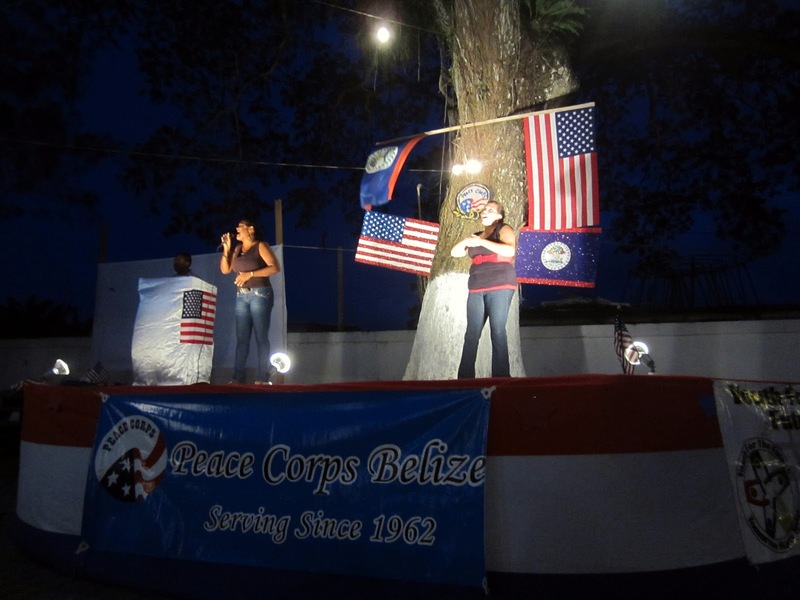 The following photos show us decorating the stage for the celebration, which was a collaborative effort between us Peace Corps Volunteers and the Belizean organization, Youth for the Future. The entire town of Orange Walk helped us commemorate the Peace Corps’ 50th Anniversary, along with our nation’s birthday. Youth for the Future presented a talent show, and the Mayor of Orange Walk stood with our Country Director and thanked us for 50 years of service to the people of Belize. We sang both of our countries’ national anthems, and enjoyed fireworks at the end of the talent show. 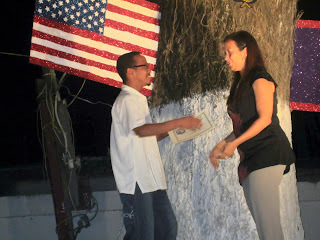 Belizean children dancing to a Mexican song underneath a US flag. Celebrating peace and friendship in a multicultural way! The ladybug dance by preschoolers. The second week of July found me at Chaa Creek, a beautiful eco-resort in the Cayo District, where I had gone with four of my Peace Corps Volunteer Education Sector colleagues to work alongside nine Belizean teachers and nine student teachers from SUNY Cortland, who had all traveled to this jungle resort for a week-long conference on environmental education for primary students. Together we developed and shared lesson plans and methodology for using a newly published book, Pat the Great Cat, in primary classrooms. 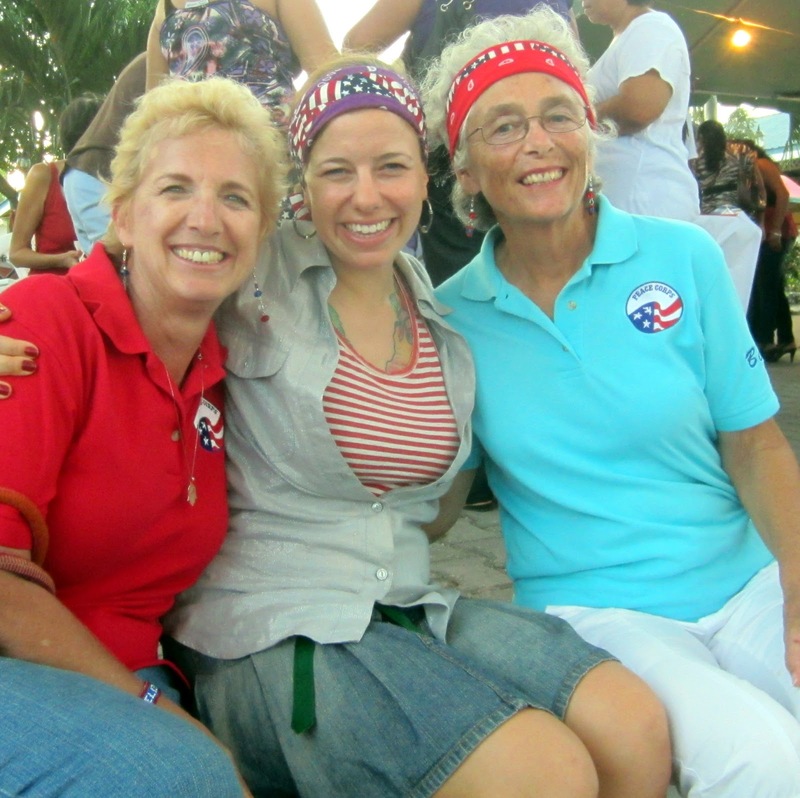 Most rewarding for me were the connections I made with teachers from the States, Belizean teachers, and with our dear friends, Barbara Thummalapally, our Ambassador’s wife, and Nancy Kennedy, the publisher of Pat the Great Cat. The development of this book and this literacy project has been a labor of love for these two women, and I am so grateful to be invited to help develop curriculum and deliver this to the teachers and children of Belize. The book was written by Belizean and American children and tells the true story of Pat, a "problem" jaguar that had been injured and began to kill cattle. Farmers trapped him and the Belize Zoo rescued him, but because he was unable to return to the wild, he was instead flown to the Milwaukee Zoo for their breeding program. Pat will introduce "wild" genes into the gene pool of the captive jaguars there. This beautifully illustrated book teaches the children about the wildlife of Belize and about the only great cat of the Americas: the jaguar. Children learn about ecosystems and the quest to balance the needs of human beings with the needs of the wildlife around us. Barbara Thummalapally and Nancy Kennedy have worked tirelessly to bring this book to Belize and to the children of the US as well. I am honored to be a part of its launching. This boy, whose name is Denmark, was so proud to paint the country for which he is named. The kids were so proud of their work, and excited to find Belize on the map. They were also surprised to see how small it is.